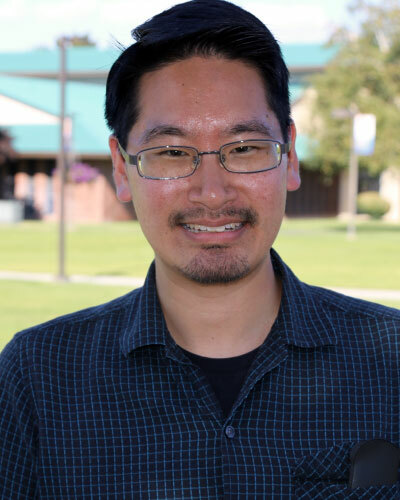 Robert M. Kao is an Assistant Professor in Biology at Heritage University, and is also a member of the Native Education Certificate Program at the University of Washington (2016-2018 cohort). Dr. Kao is a former University of Washington Teaching Scholars at the School of Medicine, and was a former postdoctoral fellow at Seattle Children's Research Institute. While a fellow and teaching scholar, Dr Kao also taught as a lecturer on Genetics of Disease at Seattle University during the Spring of 2016. He earned his doctorate degree in molecular, cell and developmental biology at Harvard University in 2012, and earned a Bachelors of Science degree in Biology from Boston College in 2005. Member of the Center for Leadership and Innovation in Medical Education, as well as Native Education Certificate Program from 2016-2018. His genetics and epigenetics teachings as a UW teaching scholar were supported by the Friends of FSH Research between 2015-2016, and these have been integrated into the genetics curriculum at Heritage University. Dr Kao is also the principal investigator of National Science Foundation funded Heritage University Research Experiences for Undergraduates (HU REU), providing HU undergraduates opportunities to conduct an intensive ten week research experience in leading research institutions across the state of Washington. Dr Kao has a strong interest in the following: science education research, place based education, social-emotional learning, folkbiology, innovations in teaching molecular genetics and developmental biology, curriculum design, and developing inclusive classroom and lab settings and research opportunities for first-generation Hispanic students from central Washington, as well as students from the Yakama Nation. Science education research and outreach, community-based research, and molecular and cellular mechanisms of C. elegans, Tetrahymena, and planarian adaptations in the changing environment. Title: Pbx4 is required for the temporal onset of zebrafish myocardial differentiation. Title: Traffic Jam Response: Hands-on activities to explore consequences of artery road blocks.